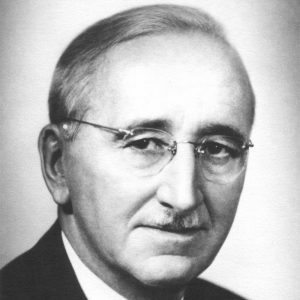 Friedrich August von Hayek probably is the most prominent representative of the Austrian School of Economics, which can be at least partially explained by him having won the Nobel-Prize in Economics in 1974. This prize was awarded to him for his early work “Prices and Production”, in which he demonstrated the harmful influences of governmental monetary policy on a stable development of an economy. He gained much attention though with his 1944 classic “The Road to Serfdom”, in which he examined the tendency of state-planning to reinforce itself and slowly, but surely, transform interventionist economies into totalitarian and dictatorial systems. The book remained in the bestseller-lists for months and is – for proper reasons – a well-read classic even today. It can also be argued that Hayek’s warnings of a gradual drifting into socialism has crucially contributed to the fact, that western democracies did not turn into socialistically planned economies after the End of World War 2. Hayek’s later works can be attributed to political philosophy much rather than to economics. In “The Constitution of Liberty” he proposed a complete system that would optimise the functioning of a democratic government, in which he still left a somewhat generous role for state action. However, with regards to this it is crucially important that a strong and durable constitution limits the potential scope of governmental activity in durable and predictable fashion. In “Law, Legislation and Liberty” Hayek develops a theory of cultural evolution and shows how certain elements of biological evolution influence the way we behave in economic contexts even today. In that sense he is a noteworthy founding thinker in the field of evolutionary economics. The places were Hayek left his marks were as diverse as his over: After his studies and work in Vienna, Hayek taught in London, Chicago, Freiburg and Salzburg. Furthermore, he founded the prestigious Mont Pèlerin Society in 1947, which is one of the most important organisations for the dissemination of liberal ideas even today.